le chaudron de vulcain – November 10 , 2018. EN. 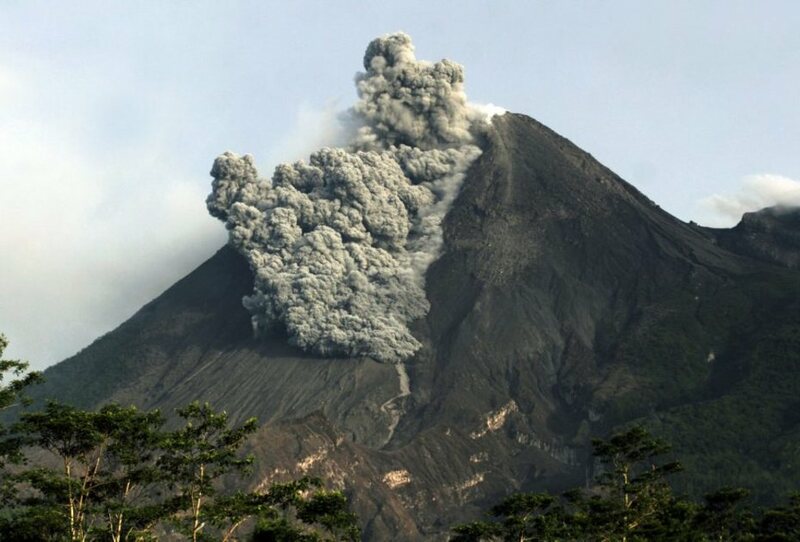 Alaska : Veniaminof , Colombia : Cumbal , Indonesia : Anak Krakatau , Costa Rica : Poas / Rincon de la Vieja / Turrialba . Home / Alaska / November 10 , 2018. EN. Alaska : Veniaminof , Colombia : Cumbal , Indonesia : Anak Krakatau , Costa Rica : Poas / Rincon de la Vieja / Turrialba . 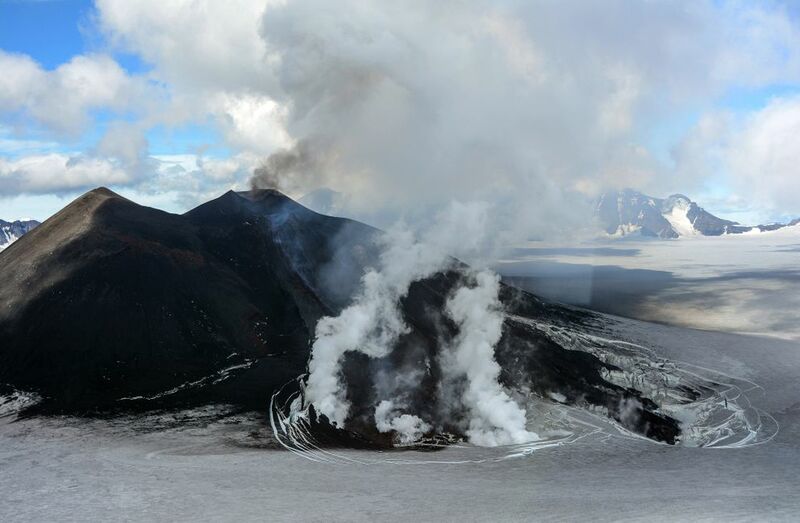 Low-level eruptive activity occurred at the intracaldera cone of Veniaminof volcano throughout the past week, indicated by relatively continuous seismic tremor, as well as by elevated surface temperatures and an eruption plume observed in satellite and web camera images. 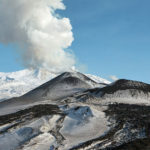 The eruption is characterized by low-level lava spattering, a lava flow, and variable emissions of steam and volcanic ash up to altitudes of 14,000 ft. 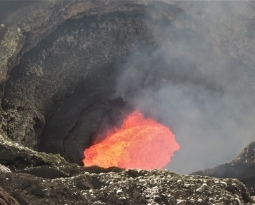 Recent satellite observations show that the lava flow extends about 1.2 km (0.75 miles) from the vent. Fractures in the summit ice sheet adjacent to the lava flow are caused by melting. The production of volcanic ash varies over time and is rarely accompanied by a discernible change in seismic activity. Trace ash fallout in local communities is possible under strong wind conditions and increased ash emissions. Photo : Waythomas, C. F.
For the period from October 30 to November 5, 2018, the seismic activity maintains low levels of released energy, recording an increase in its occurrence compared to the previous period with the predominance of earthquakes related to the fracturing of rocks at the same time. interior of the volcanic building. These are located near the crater of La Plazuela (north-east of the volcanic complex Cumbal), with depths less than 2 km under the summit (4700 m altitude) and local magnitudes up to 0, 6 on the Richter scale. 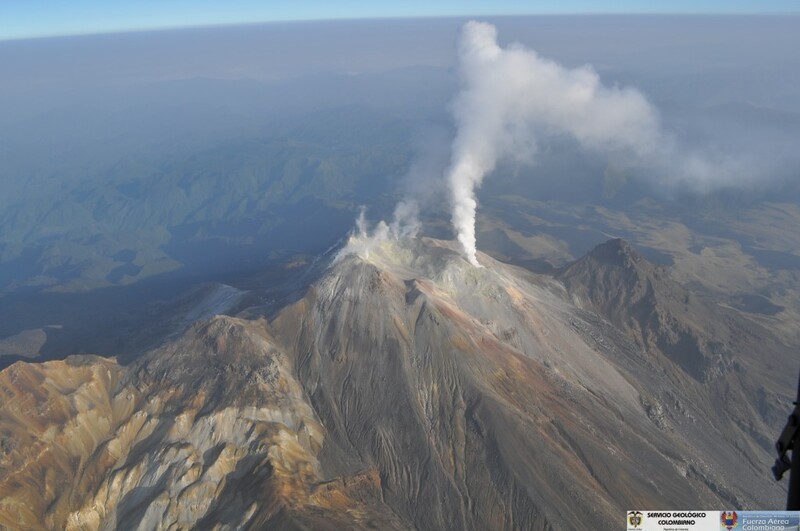 It was possible to observe gas emission columns from the El Verde fumarole field (north-east of the Cumbal volcanic complex), white in color, at low pressure and at low height, directed in a dispersed manner according to the direction of the winds. Issued: November 09 , 2018. Eruption with ash clouds at 10:17 UTC (17:10 local time). The eruption lasted for 51 seconds. Eruption and ash emission is continuing. Best estimate of ash-cloud top is around 2042 FT (638 M) above sea level, may be higher than what can be observed clearly. Source of height data: ground observer. Eruption recorded on seismogram with maximum amplitude 58 mm and maximum duration 51 second. Level II Activity Level (WASPADA). 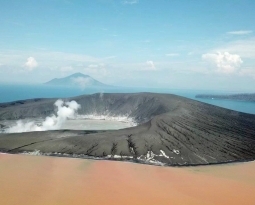 G. Anak Krakatau (338 m altitude) has increased its volcanic activity since June 18, 2018. Since yesterday and until this morning, the volcano was covered with fog. The smoke from the crater was white, thin and 25 m above the summit. 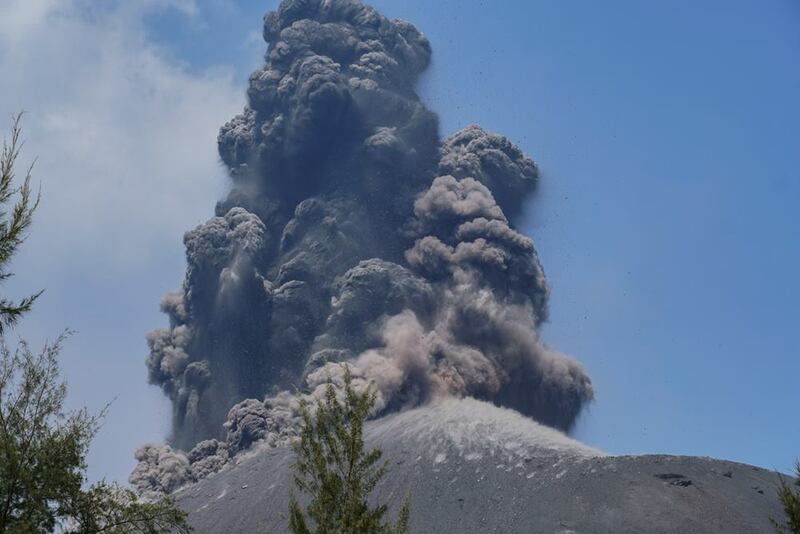 The eruption was observed up to 300-500 m above the peak, gray in color. The wind was blowing weakly to the northeast. 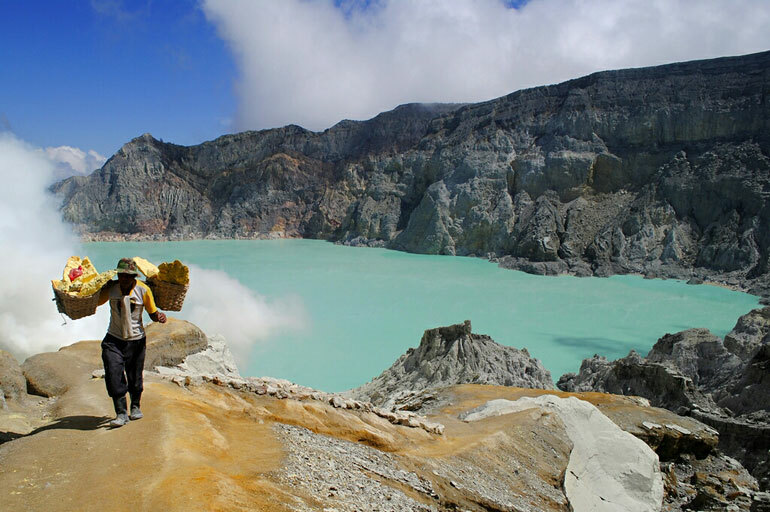 Recommendation: People / tourists are not allowed to approach the crater within 2 km. VONA: The last VONA code, ORANGE, was sent, published November 9, 2018 at 5:15 pm WIB, relating to an eruption with ash column height of approximately 638 m above sea level. sea ​​or about 300 m above the summit. The column of ashes was moving north. 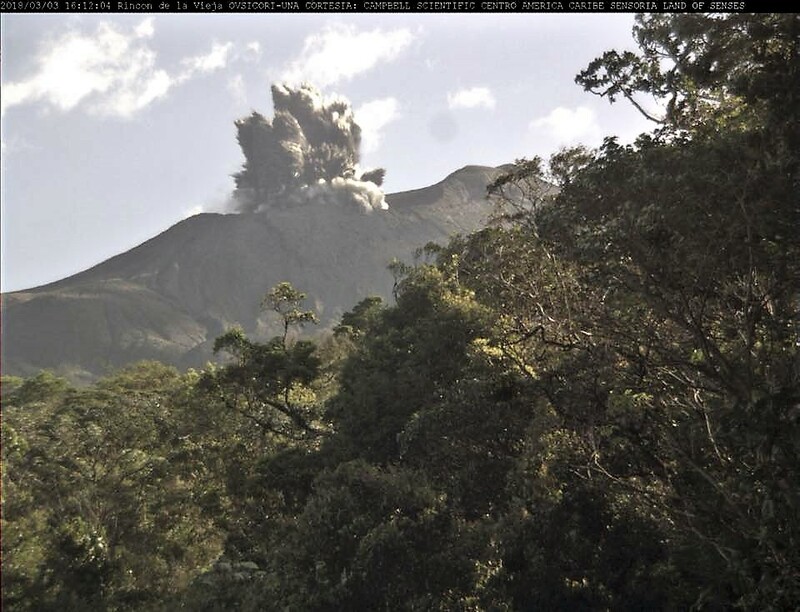 Activity on the Poás volcano remains similar to that of previous days, with the presence of short tremors. From time to time, a little more degassing is observed through the Boca A. On November 9, 2018, at 17:03, local time, there is an eruption on the volcano Rincon de la Vieja. The height reached by the column is unknown because of the visibility conditions of the site. 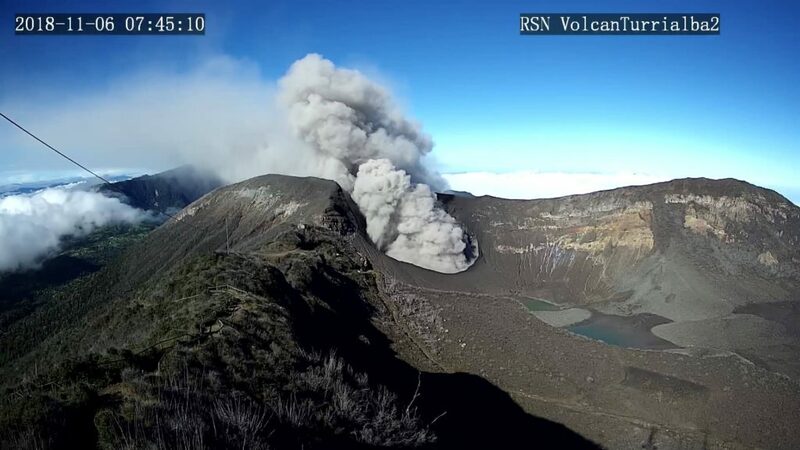 The behavior of the Rincón de la Vieja is similar to that of previous days, where there were small eruptions that were sometimes observed thanks to the webcams located nearby. They are also recorded in the OVSICORI and ICE seismic stations. 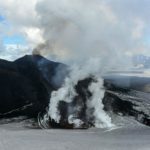 On November 9, 2018, at 00:00 local time, there is an eruption on the Turrialba volcano, with a column that rose 500 meters above the crater height and at 3840 m. (meters above sea level, 12595.2 ft). Duration of the activity: minutes. 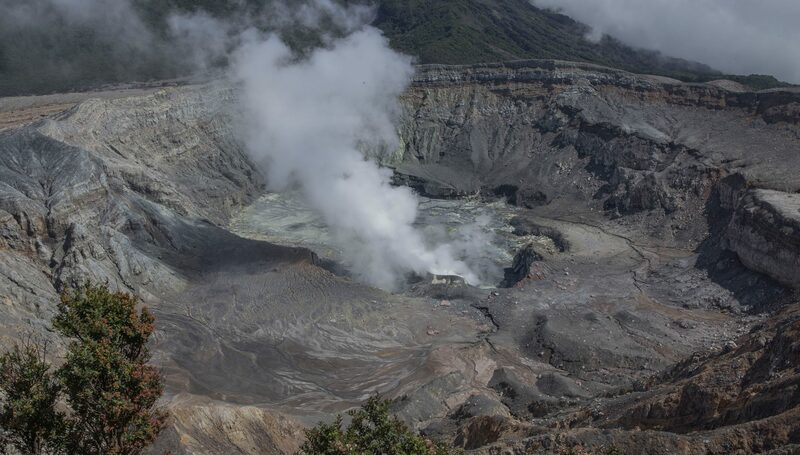 The eruptions on the Turrialba volcano are continuously maintained, although they are intermittent pulses and generally at low energy. From time to time, more vigorous explosions are also observed which raise the column about 500 meters above the crater. The wind according to the information from the IMN is oriented West-North-West, so the area of the Central Valley continues to receive these ashes. Ash falls are reported in Moravia, Heredia, Coronado, Ip, among others.